Resin Gauntlet Dartboard Tower Darts Trophy. Available in 3 sizes, 165mm, 185mm and 215mm high. 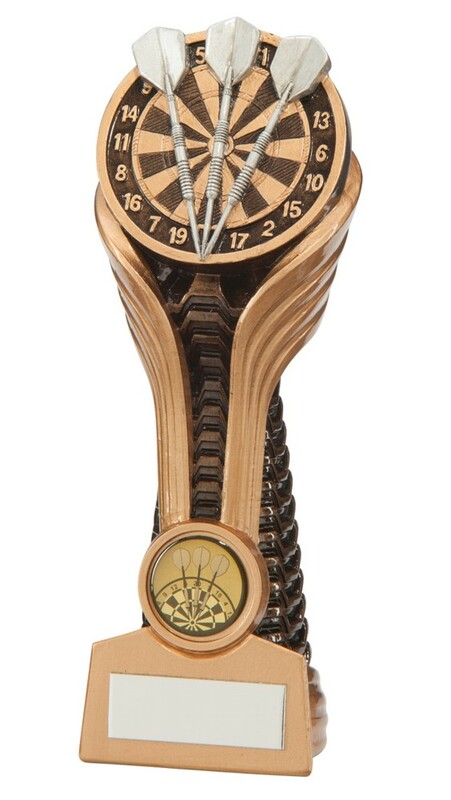 Resin dartboard and darts tower award, antique bronze with gold and silver detail.